The World Champs ….. Taking a Break in 2011! The 2011 postseason began today but something’s different this year. One of the most exciting times in baseball all of a sudden seems like it’s just another day. Could it be that I still haven’t recovered from the postseason play of 2010? 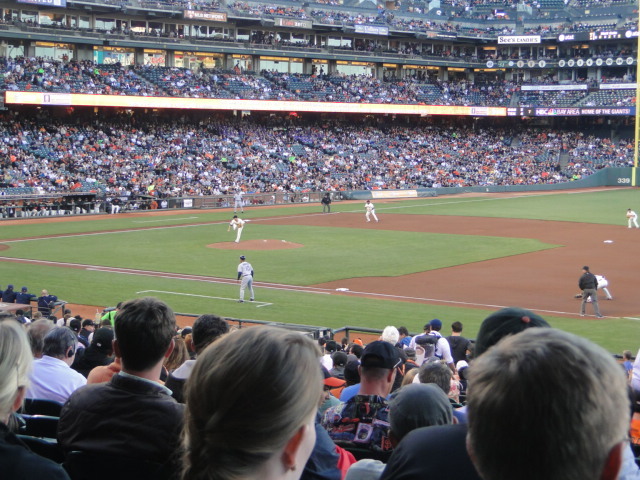 The media had been inundated with the 2010 San Francisco Giants Cinderella story. It was magic. But the stories of late haven’t been so much about the magic of last season as it is about the everyday mundane normalcy of this season. How could this happen or more-so why did it have to happen? I have a theory. Historically the World Series champion has only won back-to-back championships on three separate occasions with exception of the Yankees. They don’t count. 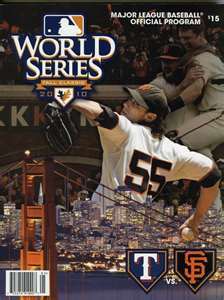 The returning 2011 Giants were basically the same team that won the 2010 World Series. That 2010 team played their heart out. When they realized in August they had a shot at the division title they went for it. They scratched and clawed and mowed down everything in sight and they won. And then they won again and again and they won the Pennant. Then they won again and again and again and they won the Championship. And then they returned to the adoration of a million fans screaming their hearts out in appreciation of what they had done. After it was all over in mid-November, they went back to their individual homes across the country and they collapsed. They were exhausted. They rested for 6 weeks and then they started all over again. And they were still exhausted. And I believe that’s how it is for World Series Champions historically. I understand all of this because, you know, I was exhausted too. As fans we went through all of those torturous games with our teammates and we laughed and cried and shared the joy of the entire experience with each and every one of them and we were tired, worn out, and exhausted too. I’ve been reading a lot of gibberish this week about the fall of the San Francisco Giants kingdom and it’s just that. Gibberish. It seems everyone’s placing blame somewhere, on someone, and it’s getting really personal, you know, about individual players. They’re paid too much, not paid enough, too slow, too fat, too lazy. Ugghhh! The 2010 Giants were not an extraordinary team. They were an okay, average team with a really good pitching staff. The reason they won their division had more to do with the San Diego Padres choking than it did with the Giants winning. But they did win and found themselves in the post season and we were thrilled. But now its over and its okay. I’ve written comments throughout this season exclaiming my euphoric state and happiness that the Giants were World Champions and if they never ended up in post season play again, ever, I could easily rest on my (well okay, “their”) laurels. It was that good. And I think maybe the San Francisco Giants may have felt a little of that too as they began spring training, not really sure what had happened that previous season, and not really wanting it to end, still in a euphoric state of mind, just needing and subconsciously taking a little break. At least that’s what I think probably happened and that’s how I’m going to always remember it and its cool ~ the San Francisco Giants just taking a little break in 2011. Predicting the Division Winners …… Oops! And we're off to the races again! Last March I wrote a blog entitled “2011 Postseason Predictions” and I’m here to say with all my opinions and wisdom in the world of baseball , I was able to correctly predict two teams, one from the National League and one from the American League. That’s 25% folks, I say as I’m looking for those wet noodles and a carton of eggs to slather around my face. I mean, who knew? The only two teams that I predicted to win that actually won were the Detroit Tigers and the Philadelphia Phillies. The Phillies, of course, were a no-brainer, but I was very proud to stick my neck out in prediction of the Tigers. So be it. If you were lucky enough to catch one or both of the games last night you were in for a real treat! Whatta thrill! Down to the wire! Reminds me of last year’s Giants – Padres game, the 162nd game, 9th inning and last out. I still get goosebumps remembering the thrill of it all. So here we are six months later in post season. Predictions? I think I’ll wait a bit and get back to you on that……it’s hard to write with a bunch of egg on my face. 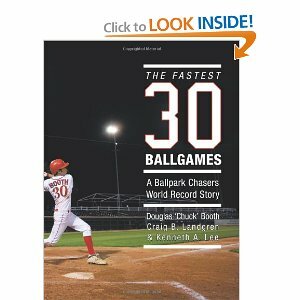 Baseball Book Review: The Fastest 30 Ballgames. This is a first for me. I’ve never used “Press This” before but since I just returned from a week in Puerto Vallarta and have several blogs to write and not as much time as I’d like, I thought I’d share this book review from Jonathan over at MLB Reports via this new tool. Jonathan writes the very best book reviews! Take a look and see what you think! Its nice to have a few good books laying around during that pesky dry spell as we head into the off-season, after the play-offs of course . Geez ….. Opening Day only six months away! Later this week I plan on writing about my 2011 division winner picks that were done back in April. And I’ll be sure to have a dozen eggs to slather on my face as I write about them. I’m currently on vacation so hope you like this video I downloaded a few months ago. This might be of interest to those of you who are pitchers, want to know about pitching or just curious as to how those guys can do all the stuff they do. It’s educational and I hope you’ll find it as interesting as I did. 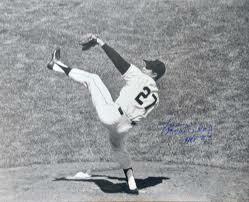 One of the more astounding statistics is that of Juan Marichal comingled in with the others. You’ll understand what it means once you view the video. Most Valuable Player? ….. You Decide! I watched a TV Special recently about Juan Marichal, the former SF Giants pitcher, and I was surprised to learn that he had never won the Cy Young Award. And then again last week a discussion was had on whether an MVP could, or should, also be named a Cy Young winner. This was concerning Justin Verlander of the Detroit Tigers who holds most of the AL pitching records this season. The reasoning was that the MVP should be awarded to a field player who’s generally on the field every day, compared to the pitcher who pitches every four or five days on a rotation. Supposedly that’s the reason the Cy Young Award came about ~ to be able to honor the pitchers who are not visible on a daily basis. The Marichal program was still very much in my mind when I came across an article (referenced below) about the worst MVP “snubs” in baseball history. I found it very interesting that so many of the most popular players were slighted as MVP’s back then. Maybe they weren’t as popular in their day as they’ve become later on, and posterity has been kind to them. But probably not. The MVP selections always seem to provoke some sort of controversy each year and its understandable. Those pesky statistics always seem to get in the way of those you and I consider to be the most valuable. Not always of course, but sometimes. Here’s a link to the article, submitted by Tim Handorf, 10 Worst MVP Snubs in Baseball History published at bestonlinecolleges.com . Take a look and see what you think! “It’s not about winning. 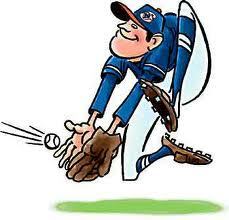 It’s about how the game was played.” The 2001 World Series. I remember every game of the 2001 World Series. I can remember what it was all about and how passionate I was about wanting the New York Yankees to win. And I can remember how sad I was that they lost. It wasn’t that I wanted Arizona to lose. It’s just that the people of New York had been through so much after September 11th, and I wanted this for them. Actually, for all of us, well, maybe not the Arizona fans ) but you know what I mean. One of my fellow bloggers put a bug in my ear about this movie a few weeks ago and I couldn’t wait to see it myself. And he was right ~ it’s a keeper! 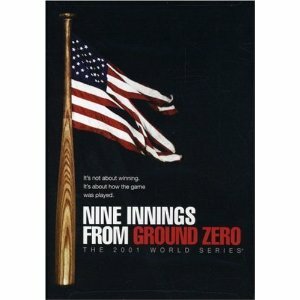 It was produced in 2004 in association with MLB Productions and yet I don’t remember hearing anything about it before. Something worthwhile sometimes takes time to get around, and this is one of those worthwhile things. But a word of caution, better grab a kleenex. It was emotional and at one point I found myself sobbing! Maybe it’s because the day I watched it was also my granddaughter’s first birthday and I was feeling a little emotional anyhow. Whatever. I’m just saying. If you still have some gifts to buy you might consider this ~ even for non-baseball fans. Really, it’s that good. The Baseball Cap ….. America’s Greatest Export? Sorry. I just had to do this. It’s really an excerpt of my previous blog, but this little paragraph in Jim Caple’s commentary deserves a special place of its own. Read it, embellish it and swirl it around in your mind so you can remember it when confronted with footballisms, guaranteed to happen these next few months. Baseball caps: They are as quintessential, ubiquitous and indispensible an American apparel item as a pair of blue jeans, especially if you’re losing your hair. They are the greatest U.S. export other than democracy, jazz and stifling consumer debt. Travel anywhere in the world and you will see people wearing baseball caps, though unfortunately they occasionally bear Yankees or Red Sox logos (what, do no Belgians root for the Brewers?). They are worn by everyone from rappers to astronauts, from President Obamato Pope Benedict. And what is the first thing football players do at the start of their NFL careers? That’s right — they don a baseball cap on draft day. Meanwhile, I don’t see anyone wearing football helmets, even on the absolute worst bad hair day imaginable. Reprinted from Jim Caple’s ESPN.com article, Why Baseball is Better than Football.